The suggestion comes about a week after President Trump’s unfounded allegations that the Obama administration had Trump Tower’s “wires tapped” in an effort to sabotage his election run. 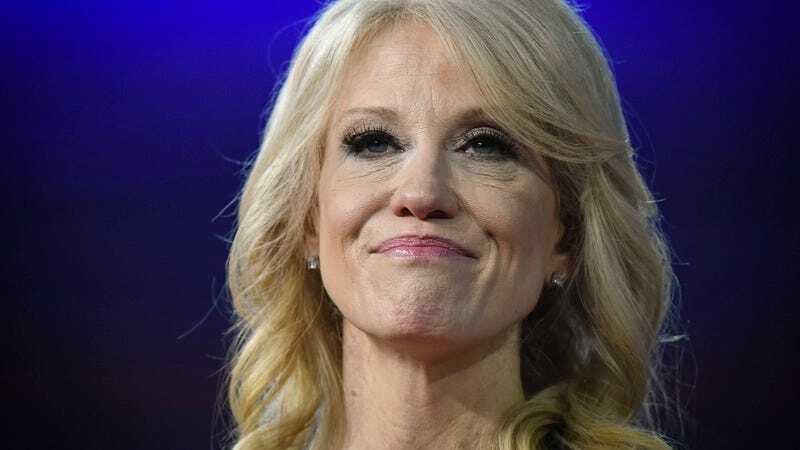 Conway’s equally sensational allegations—while founded in some reality, in that you can use some electronics to spy on unsuspecting parties—have caused Conway to backtrack, saying that while she totally read “an article” about how microwaves can have tiny cameras in them that track your every move, she has “no evidence, but that’s why there’s an investigation in Congress.” (Fortunately, Mythbusters has already investigated whether you have to wipe off the top of cans, lest there’s rat poop on the top.) As she says, she’s “not Inspector Gadget,” so how would she know if something she claimed to be totally true is actually true? Conway’s daft statements have earned her well-deserved eyerolls from both the political media and regular, everyday people on Twitter.